The Irish Craft Experience offers a unique adventure that you will treasure forever. 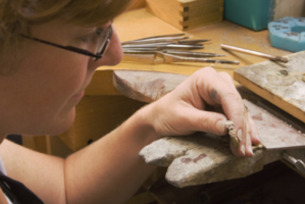 Visit their professional Dublin City Jewellery studios and craft a souvenir piece of Jewellery, hallmarked in Dublin Castle and made completely by you. The School of Jewellery Ireland’s Irish Craft Experience offers you the chance to create your own souvenir piece of Jewellery, crafted from Irish Hallmarked Silver or Gold. This course offers visitors a chance to create a lasting keepsake of their visit to Ireland, over the course of an enjoyable and relaxing day in the School’s professional goldsmith studios. You will be guided through choosing your design, crafting your Jewellery by hand under the guidance of professionally trained tutors, and completing your piece to a high standard. Your unique piece of Contemporary Irish Hallmarked Silver or Gold Jewellery will be presented to you in your Gift Box and Presentation Bag at the end of the day. The course fee includes Irish Hallmarked Silver to craft one piece from a range of beautiful designs including earrings, cuff-links and pendants, all materials, a delicious homemade lunch, tea and coffee and a presentation box. 9ct or 18ct Gold can be quoted for in advance of the course, if requested. The School of Jewellery Ireland is an established Traditional Jewellery School, based in Dublin City. Offering a range of courses, from One Day hobby classes to Full Time Certificate Courses, the School prides itself on nurturing creativity in a relaxed and yet professional atmosphere. The basis of all the craft courses at The School is the same - persistence, care, perfection and technique, resulting in beautifully wearable pieces that will stand the test of time. The Irish Craft Experience is ideal for a fun and unusual activity to mark your visit to Dublin, and is suitable for everyone, from families to corporate groups. 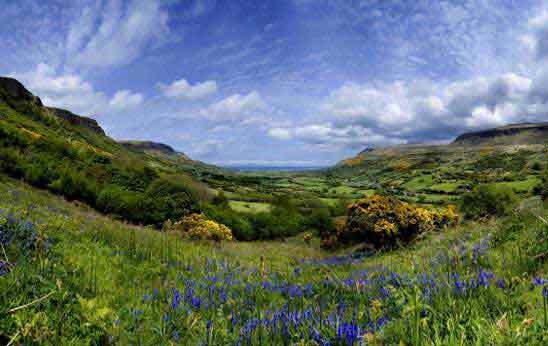 Create a lasting souvenir of your trip to Ireland on this unique course.